We work closely with our clients to assist them in tackling their legacy sites and outstanding bond issues but more importantly, as part of our efforts to build sustainable relationships, we want to help out clients ensure that their infrastructure assets are built right first time, with bonds reduced and cancelled at the earliest opportunity. 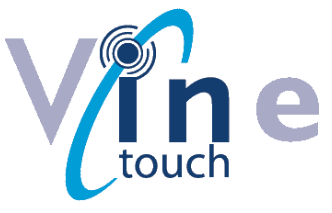 Vine have the experience and knowledge to monitor site construction work to ensure that works are undertaken in accordance with the plans and specifications, and to work with the utility companies to acquire service location information, new supplies and monitor new utility provision and diversion works. But before we do any of that we want to make sure you start your development on safe ground by liaising effectively between the client, other specialist consultants and adopting authorities to ensure that all design approvals have been obtained, agreements are in place and hence building at risk is either eliminated or significantly reduced. Detailed records of the build are taken as work progresses in order to demonstrate compliance with the design, and in some cases to support a highway adoption under S37 Highways Act 1980, but wherever possible we maintain constant communication with the adopting authority securing inspections at regular intervals and at key build points to achieve sign off as soon as possible. We know that often your groundwork packages include infrastructure and plot substructures to damp course level and if you need us to we can also monitor these elements of work as well, making sure foundations, drainage and everything up to finished floor level are signed off by your new build warranty provider such as the NHBC or LABC some clients find this extremely useful in the early stages of development as an ad-hoc service, especially if the site manager has not yet been released from his last project or to allow the site manager to focus on setting up the site, welfare etc.